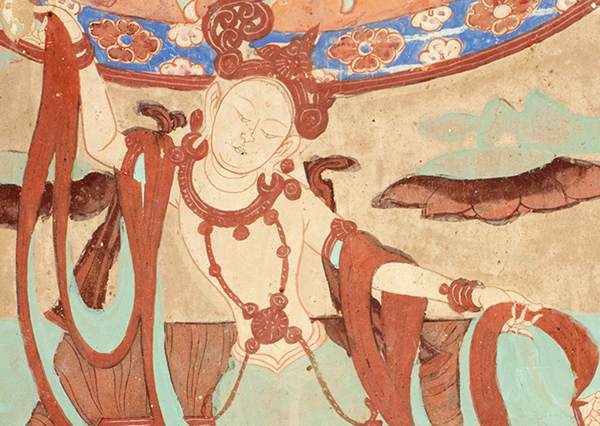 Uncover the history of the cave temples through rare objects and videos that reveal the fascinating story of Mogao, from its founding in the 4th century to the present. 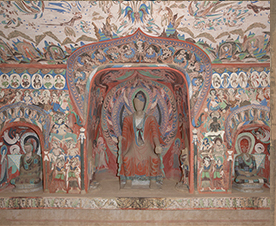 Step into 1:1 scale cave replicas: Cave 275 (5th century), Cave 285 (6th century), and Cave 320 (8th century). 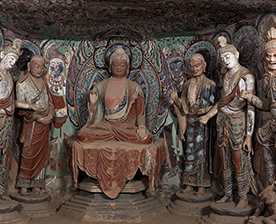 See large panoramic projections of the Mogao site, and use 3-D glasses to view stereoscopic images of Cave 45 (8th century). 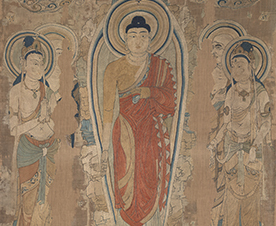 All parts of the exhibition are free, but visitors may encounter long lines. 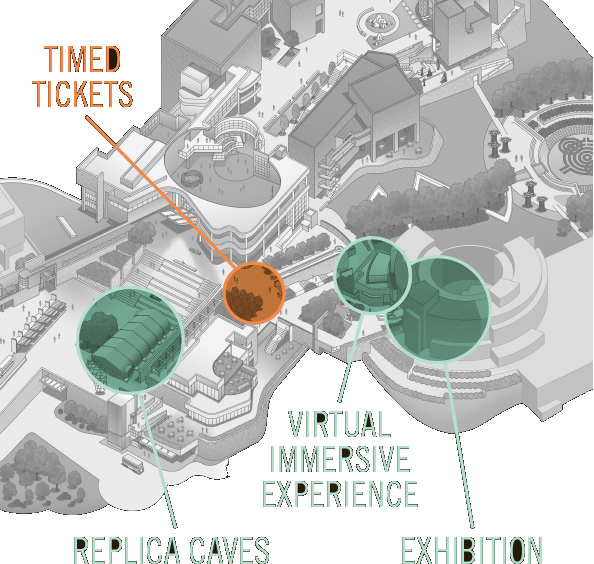 To reduce wait times to the replica caves, a limited number of free timed tickets will be available at the Getty Center on the day of your visit. 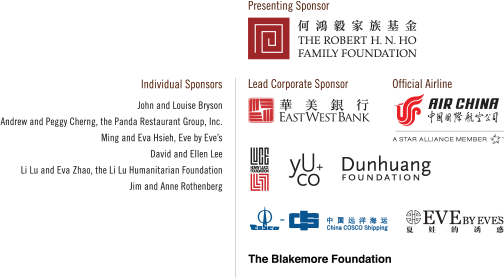 Tickets cannot be obtained in advance.